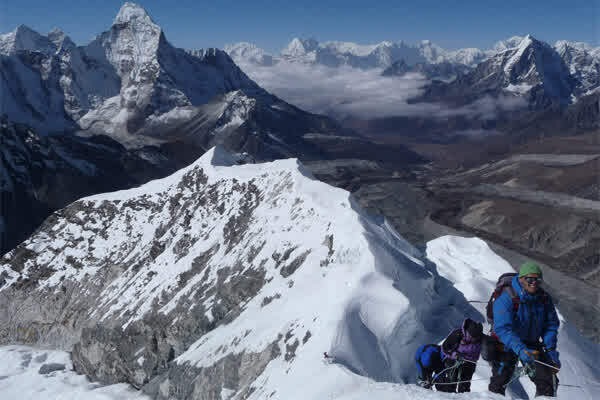 Nepal is one of the best adventure destinations in the world for peak climbing, having the greatest image, described as the "Great Nepal Himalayas" which possesses the heritage of 1310 peaks above 6000 meters in totality out of which around 263 prominent peaks (50% of them are virgin) are authorized to climb by expedition teams. The next step up beyond hiking is to tackle one of the 18 mountains designated as trekking peaks. 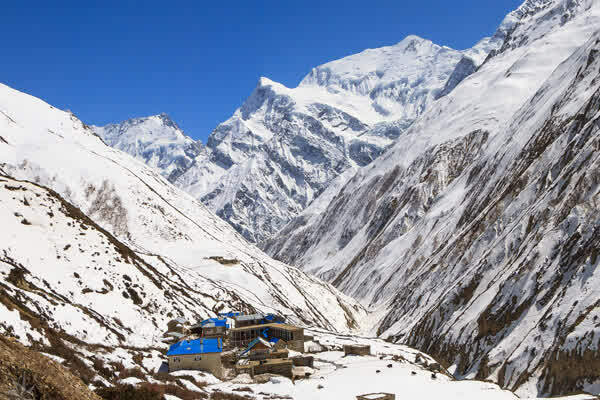 Nepal Mountaineering Association as an intermediate stage between hiking created the category and all-out mountaineering, they are often close to major peaks, with astounding views from the summits. 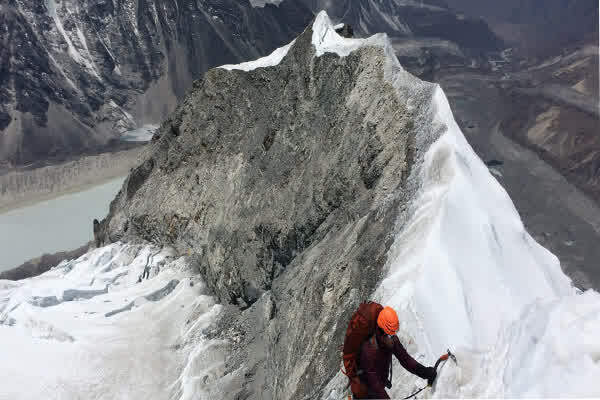 Peak Climbing in Nepal is essential to note that there are still considerable mountains taller than almost anything in North America and Europe. Mera peak in the Khumbu region is the highest at 6476 meters or even the smallest Mardi Himal which sits below Machhapuchhre, is over 5500 meters offers a great challenge beyond hiking. The Nepal Mountaineering Association has designated 18 lesser summits, ranging in elevation from 5587 m. to 6654 m. as trekking peaks. 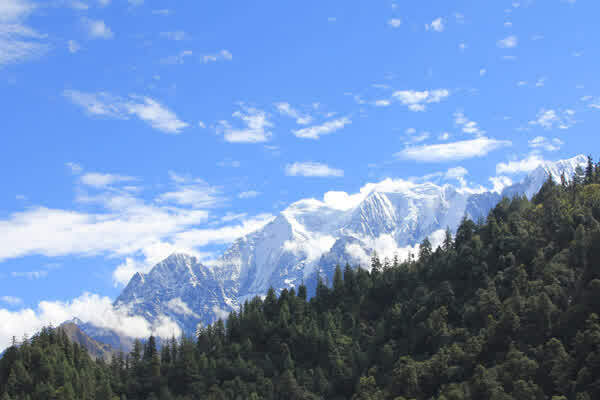 Besides these NMA Peaks, there are hundreds of peaks have been opened for the climbing peak, and have to take permission from the Ministry of Tourism, Nepal. 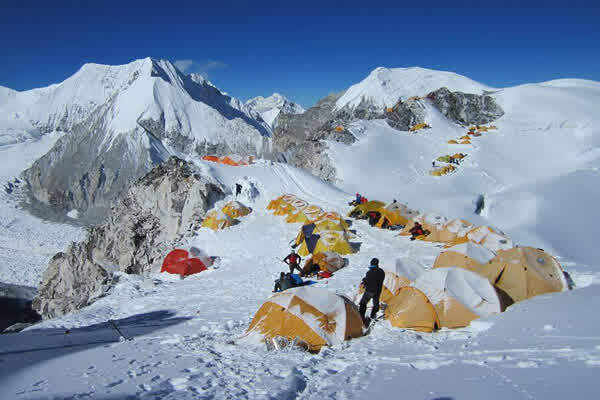 Peak climbing in nepal offer a compromise between a standard trek and a full-on mountaineering expedition, ranging in difficulty from moderately steep glacier walks to technical, multi-day rock and ice climbs previous peak climbing experience is not strictly necessary, but you need to be specially fit and able to cope with cold and stormy conditions. Trekking does not mean Peak climbing. Trekking generally means to walk on the trials. Himalayan mountain climbing is little more ambitious with a view of adventure since it is scaling of the Snowy Peaks of the Great Himalayas. 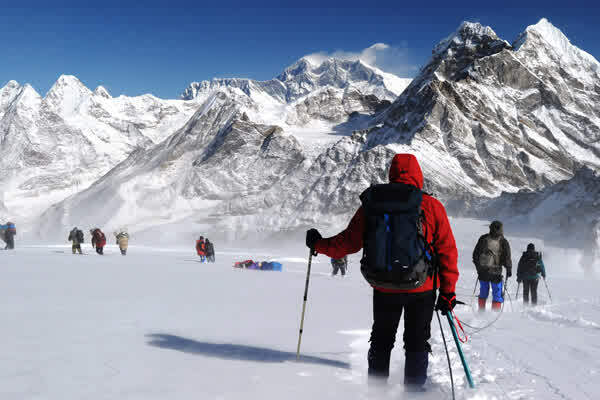 The experiment and enjoyment that you get from climbing peaks in nepal the entire procedures and the views from the top of the peak are wonderful and unforgettable experience in the lifetime. Nepal is a rich country of Mountains/Peaks, where nepal goverment is open different peaks for the people to climbing peaks in nepal to promote adventure tourism . In Nepal including Mt. Everest the highest peak of the world, there are about 1300 peaks of higher than 6000 meter. Eight Peaks are in Nepal among fourteen higher than 8000 meters of the world. Likewise, 32 peaks higher than 7200 meters are here in this small country. Therefore Nepal called the country of truly Mountains and peaks.